Vortex tube briefly to resuspend the beads. 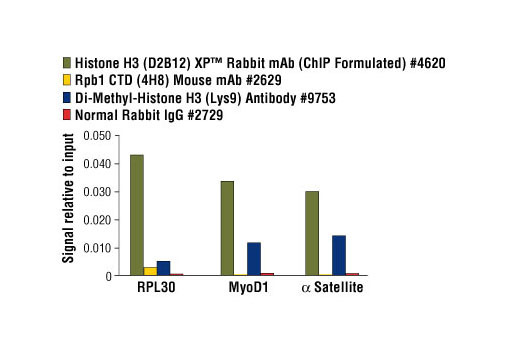 Add 30 µl of bead slurry to each chromatin immunoprecipitation (ChIP) reaction. For bead washing and subsequent elution of immunocomplexes, the beads can be separated from solution by a brief 1 minute centrifugation in a microcentrifuge at 6,000 rpm. Resuspend the beads in solution by gently vortexing or rocking the tube. These beads are specifically formulated for ChIP assays, if working with immunoprecipitation (IP) assays please see #37478 Protein G Agarose Beads. Supplied in 10 mM Tris-HCl (pH 7.5), 1 mM EDTA, 500 µg/ml BSA, 200 µg/ml sonicated salmon sperm DNA and 0.05% sodium azide. Store at 4°C. ChiP-Grade Protein G Agarose Beads are an affinity matrix for the small-scale isolation of immunocomplexes from chromatin immunoprecipitations (ChIP assays). A truncated form of recombinant Protein G is covalently coupled to agarose beads. 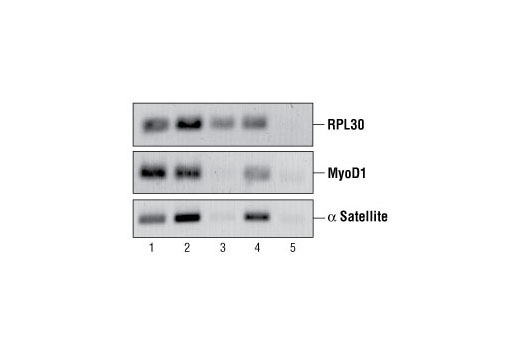 Protein G exhibits high affinity for subclasses of IgG from many species (including human, rabbit, mouse, rat and sheep) and can be used for immunoprecipitation assays with these antibodies. The beads are stored in buffer containing BSA (500 µg/ml) and sonicated salmon sperm DNA (200 µg/ml) to block non-specific binding of proteins and DNA during isolation of immunocomplexes. These beads are not compatible with ChIP-seq because the sonicated salmon sperm DNA interferes with downstream sequencing.